The provision within the Greek national tax legislation, which was examined by the EC, allowed for businesses to deduct 35 percent from their taxable income, on the condition that the benefits would be used to fund new projects like: expansions, employee training, and new technological and equipment purchases. Originally, the exemption was passed by the Greek Government without prior consent or consultation with the European Commission. However, in 2007 the measure was deemed to be non-compliant with EU law, and Greece was instructed to retrieve any exemption funds it had already issued, and to also seek interest from the recipients. 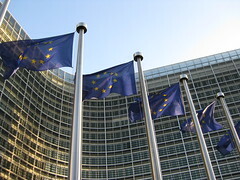 According to the European Commission, the Greek Government is yet to provide any evidence that it has complied with the 2007 decision. Vatican Bank Launders Money and Aids Crime?